Born on March 5, 1925 in Chicago, Illinois, George Washington Collins graduated from Waller High School and immediately joined the United States Army in 1943 at the age of 18. He rose to the rank of sergeant and was discharged in 1946. Collins attended the Central Y.M.C.A. College in Chicago, receiving his degree in 1954. He later earned a business law degree from Northwestern University. Collins worked as a Cook County (Chicago) deputy sheriff and then served as secretary to Alderman Benjamin Lewis of Chicago’s Twenty-Fourth Ward. He was later an administrative assistant to the director of the Chicago Board of Health. In 1958 George Collins married Cardiss Robertson formerly of St. Louis. In 1969 George Collins campaigned in a special election for the Congressional seat of Sixth District Representative Daniel J. Ronan, a Democrat, who had died in office. Collins won the special election and was reelected to a full term in November 1970, representing the reapportioned and newly named Seventh Congressional District. Collins, a Democrat, was appointed to the House Public Works and Government Operations Committees. He surprised many political observers by supporting Republican President Richard Nixon’s controversial plan to provide direct federal payments to low-income families with children, thus bypassing the state and local bureaucracies that traditionally ran the welfare programs. Collins also sought extra federal funding for teachers through the Elementary and Secondary Education Act and to reform the Federal Housing Administration which ran public housing projects in major cities across the nation. He championed legislation to assist low-income homeowners who were defrauded by speculators, real estate brokers, and home repair companies. He also introduced a bill that gave free tax preparation service to low and moderate-income taxpayers. George Collins was killed in an airplane crash near Chicago’s Midway Airport on December 8, 1972 while on a trip to buy toys for the Twenty-fourth Ward’s annual children’s Christmas party. 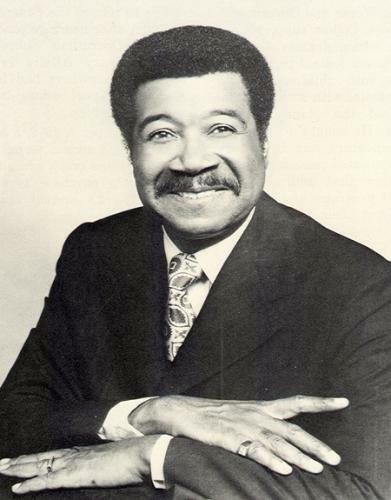 His wife, Cardiss Collins, succeeded him when she won a special election for his vacant seat on June 5, 1973. Cardiss Collins represented the Seventh District until 1997. Bruce A. Ragsdale, Black Americans in Congress, 1870-1989 (Washington: U.S. Government Printing Office, 1990). U.S. Government Printing Office, 1990).